This is the third in a series of blog posts discussing major figures in film and literature, based on the Major Arcana of the Tarot. I'll be using the 21 Major Arcana of the standard Rider-Waite-Smith Tarot deck. For some more background on the deck's history and its elusive role in popular culture, see this post from HiLowBrow, which is a good primer on the Tarot, and pretty fascinating in its own right. 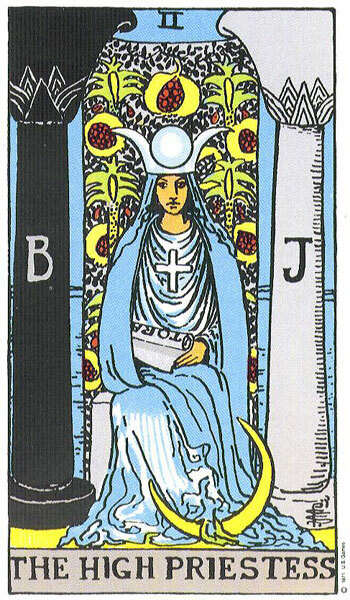 The High Priestess is not who you go to for validation or arbitration or dating advice. She's not Dear Abbey or Car Talk; she doesn't give practical solutions to simple problems. She is above and beyond all that -- she speaks with a clarity that sounds like befuddlement to normal ears. She is the voice of the Earth, echoing through the sky; she balances the terrestrial with the astrological, the intuition of the body with the wisdom of many footsteps and the fertility of the womb. In particular, she is above any naive distinction between right and wrong, or between sanction and censure. Take Doro in Octavia Butler's brilliant novel Wild Seed... he is clearly a destructive force, an oppressor and a monster of wild proportions, using his immortality -- based on an innate ability to inhabit new bodies -- to dominate and harvest whole tribes and societies, engineering superior races from human stock. And yet, for all the oppressive, chauvinistic power he represents, Doro is never relegated to the status of a pure antagonist. He is a parasite, but like any termite or e. coli bacteria, he is a child of the Earth, and Wild Seed is as much his story as it is the story of Anyanwe, his lover and complimentary opposite. 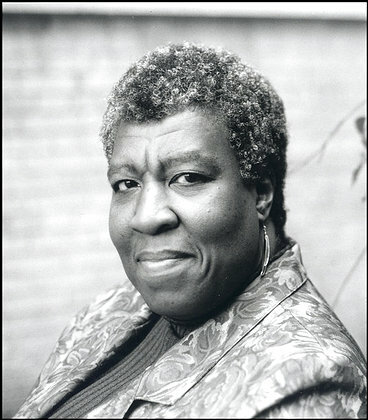 Octavia Butler's first published novel, Patternmaster, became the fourth novel (chronologically) in her Patternist series, a magnetic science fiction saga spanning many generations and multiple continents. Wild Seed is the series' first chapter, and like all of them, it's captivating and unsettling and full of vitality. In it, a creature of control and destruction meets a creature of healing and creation, and their fates quickly intertwine, setting the stage for the future evolution of the human race. In Wild Seed, and even moreso in Mind of My Mind, the second novel in the progression, Octavia Butler gives a vibrant account of intuition and the wisdom of the body below the mere logic of the conscious mind. Doro and Anyanwe and their children are constantly drawn to one another, always caught in currents of attraction and alarm; they play out grand, sprawling conflicts within the purely subjective space of their psychic interface. This kind of extrasensory psychic interaction may sound like the stuff of science fiction (ESP, Scanners) or it may sound like the first steps into the occult (telepathy as a gift of the Goddess). In fact, Butler is uniquely equipped to address both; one of the many contradictions she resolves in her Patternist novels is the subtle continuum between science and mysticism. Doro and Anyanwe exist in our world, but they understand it according to their own measures, applying craftsmanship and technical mechanisms to forces that science still hasn't accounted for. Doro is certainly a technician of evolution, making use of breeding techniques to craft a subspecies for his own use; and Anyanwe has an intuitive knowledge of infection and bacteria and antibodies, which she applies in her healing arts. Even so, through the obscure mechanisms of evolution and emergence, these characters reach deep into the realm of mysticism, creating communities of psychics and shape-changers and telekinetics that connect with their powers through innate wisdom, rather than calculated technique. It takes the powers and experience and grounded affinities of the High Priestess to bridge these many gaps, to resolve these tensions: the body and the spirit, the healer and the parasite, the naturalistic and the occult. We are all caught within these juxtapositions, and when we need to take a step beyond them, just long enough to get a glimpse of the bigger picture, we need to look to people like Octavia Butler, one of the most brilliant science fiction authors of her, or any, generation.